Some bands play the same songs tour after tour, often to ever diminishing audiences. Not Mike Scott and The Waterboys. Every tour is different. 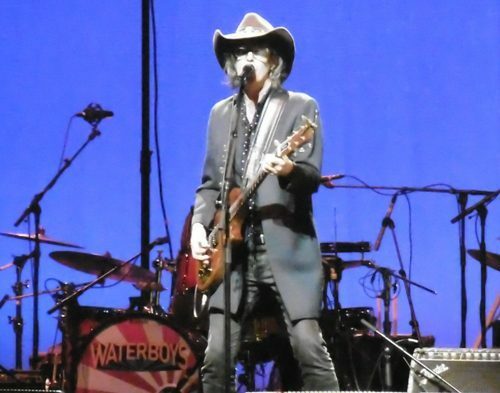 Some Waterboys' shows revisit old albums (as in 2013 to mark the 25th anniversary of Fisherman's Blues), others preview albums yet to be released (as with 2011's An Appointment With Mr Yeats). 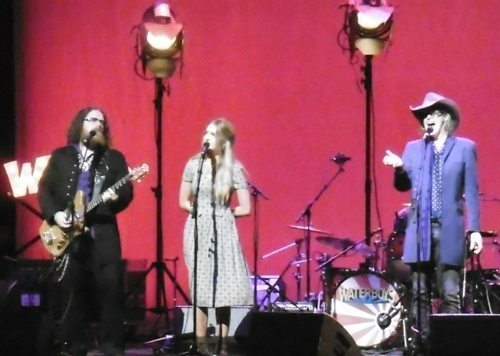 At Birmingham's Symphony Hall, the second date of a short UK tour, the band showcased their recently released album, Out Of All This Blue, performing 13 of the 23 tracks on the double album. Mainman Mike Scott announced that 70 per cent of the album consisted of love songs and ''30 per cent other s**t'', adding that tonight they'd be presenting the love songs. I think CD 1 is the stronger of the two record set and the gig opened with that disc's first five songs. The highlight was the epic Love Walks In, with the band joined on stage by support act, vocalist Sophie Morgan. 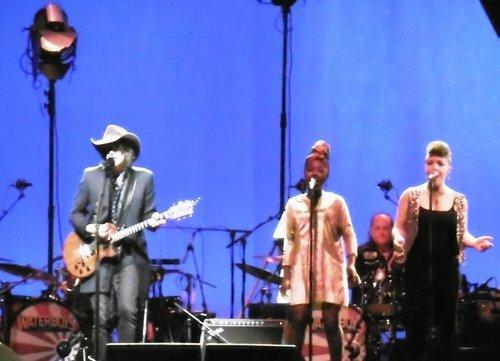 Stetson-wearing Scott was centre-stage and for this tour he has two terrific backing vocalists, Zeenie Summers and Jess Kav at his side. With Out Of All This Blue heavy on soul, Stax and R & B, Hammond organ player Brother Paul lays down many of the grooves, supported by new guitarist Bart Walker. 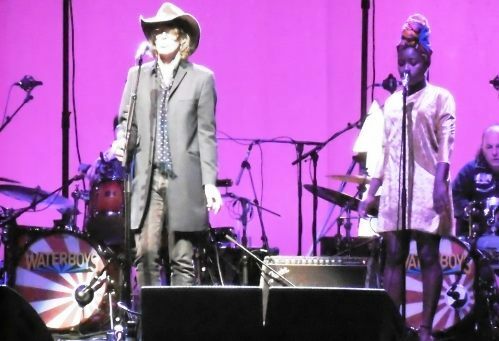 Band regular, violinist Steve Wickham, is absent from the stage for some of the new tunes but makes his presence felt when he returns for Love Walks In, then it's time to go back in time for fan favourite, Girl Called Johnny from 1983 debut album, The Waterboys. Throughout the two hour show cherry-picked songs from past albums are dropped in, and every one received a great response from the audience. Rosalind (You Married the Wrong Guy) from 2015's Modern Blues fits seamlessly with the new material, while the two songs from Fisherman's Blues, When Ye Go Away and the title track, pleased fans of the band's Celtic music phase. Medicine Bow and The Whole of the Moon, from 1985's This is the Sea, were for those who still hanker for 'The Big Music'. How Long Will I Love You, from 1990's Room to Roam, continued the show's love song theme, sparked by Scott's marriage last year to Japanese artist Megumi Igarashi. Bart Walker provided rocky guitar licks, especially when Mike Scott abandoned his own instrument. The Connemara Fox, Morning Came Too Soon and Rosalind (You Married the Wrong Guy) were guitar stand-outs. Whether it's being married or because he has a new album out, Mike Scott seems a lot more relaxed these days. During The Whole of the Moon he even did impressions of Chas & Dave, Bob Dylan and David Bowie! Here comes Mike, out of all this blue with a smile on his face!